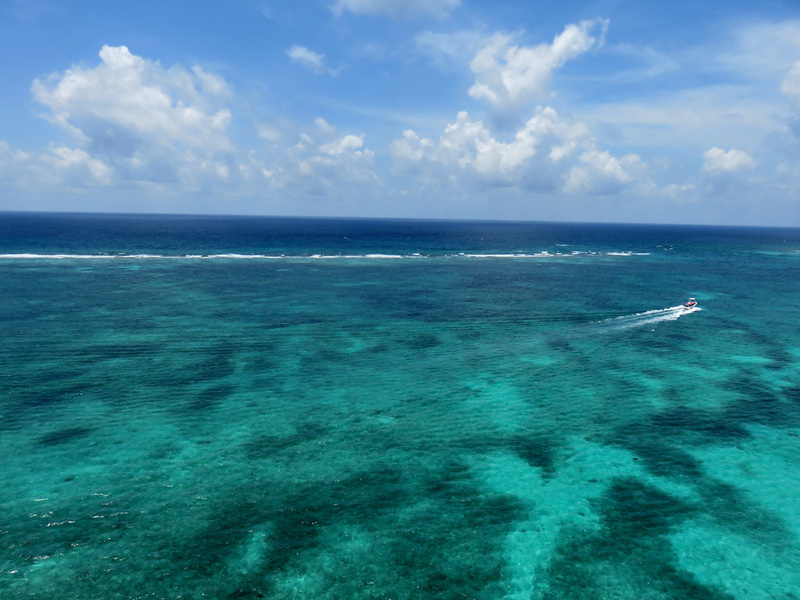 After spending three nights in the gorgeous jungle and Mystic River Resort, I arrived back on Ambergris Caye for some truly beautiful weather. And while I still need to tell you about caving, hiking and waterfalls…let me switch back to the caye right now. It is what makes Belize such a SPECTACULAR country. One day you are almost one mile into a cave gaping at the skeleton of a sacrificed 1000 year old Mayan woman and the next day, you are unloading coolers from a boat into the clearest bluest water and lounging on a sandbar. Let me give you a sense of perspective. 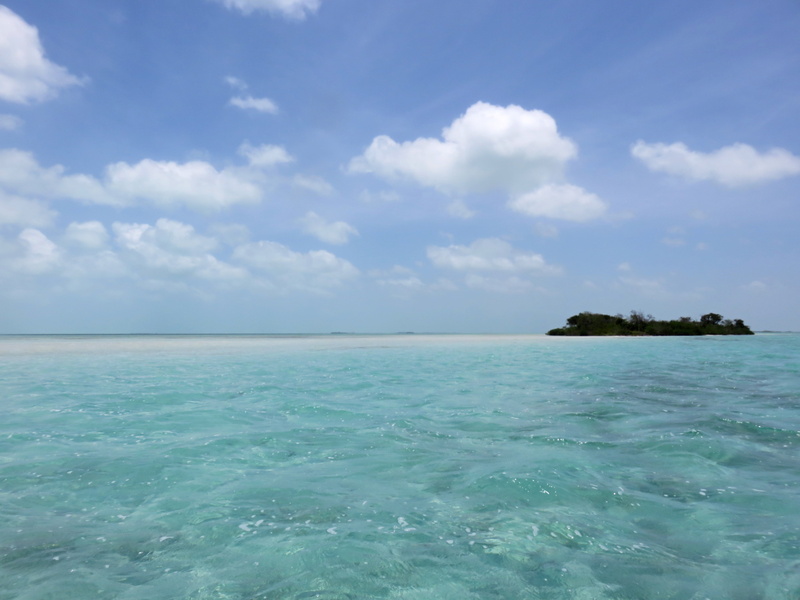 We have Ambergris Caye, the largest caye in Belize, at 26 miles in length. We have the amazing glorious barrier reef along the east side. You can see the break on the reef below right off shore San Pedro town. We have San Pedro town at the southern end of the island. 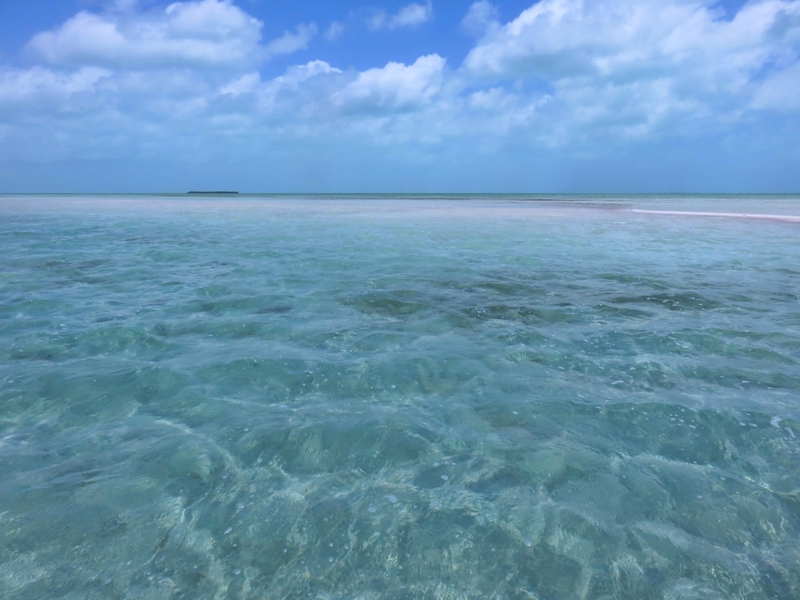 One the west side, the water is shallow and clear and dotted with large and small cayes. Many of which have shallow sandbars at their southern ends. 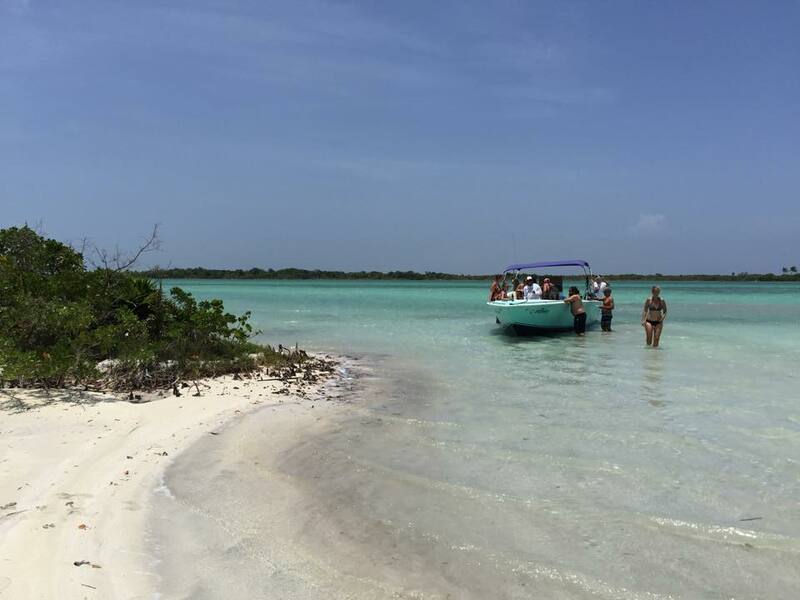 We also have Blackadore Caye – or “Leonardo DiCaprio’s Caye” – that is already being surveyed for an amazing/over-the-top project. 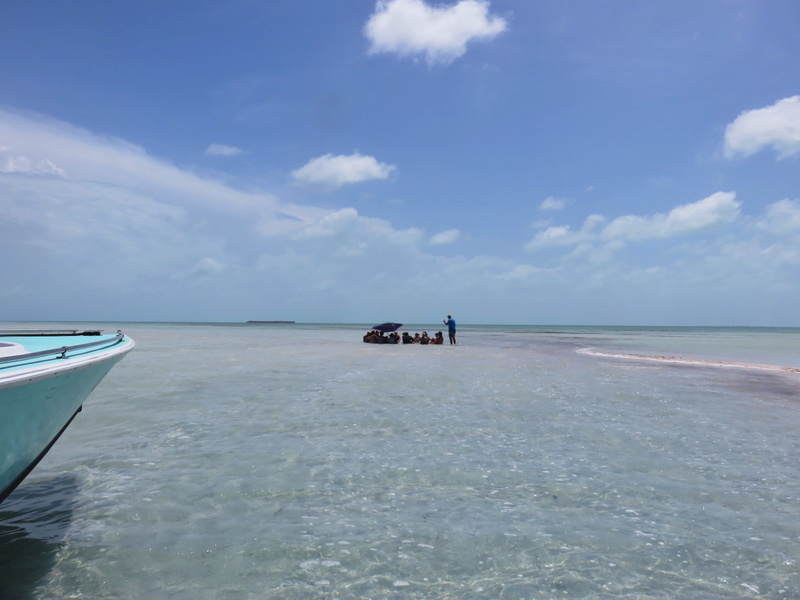 Yesterday, my friends picked me up at Grand Belizean Estates (aka The Secret Beach) and we pushed up on one of the sand bars (between Ambergris and Blackadore Cayes)…it’s absolutely gorgeous. Here are some pictures I took throughout the afternoon. Unloading…photo taken by my new friend Hasni. Circle of friends on the pinkish sand. Our ride…the C-Monkey and Creative Tours. Marcos and Karen were amazing hosts. To get back to this area…you need to charter a boat. And that’s all I need to say about that! Absolutely stunning. And I was sworn to secrecy about our second location. Where the chef from Casa Picasso Restaurant grilled lobster and some INSANELY delicious ribs…and we feasted like kings while sitting in this water. Heaven I tell you. For more on this outing, check out Bob’s post in his blog “Bound for Belize”. 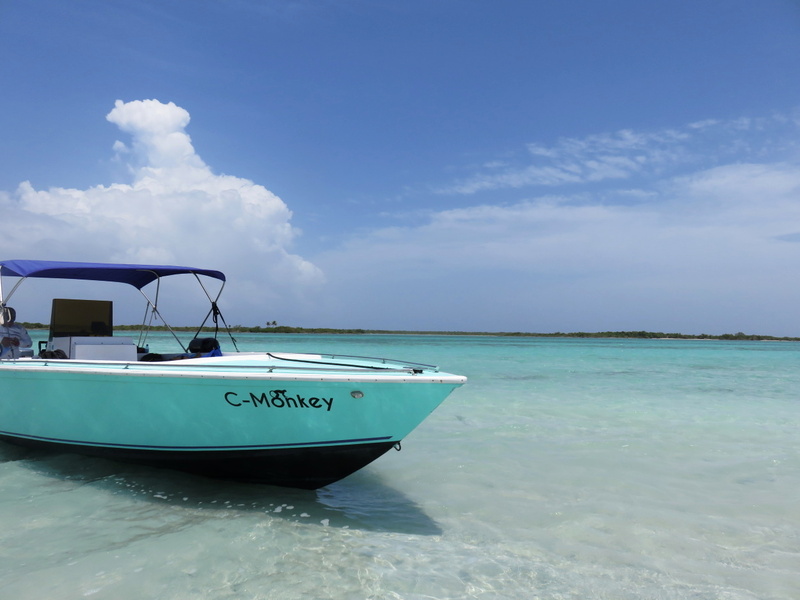 A Preview of A New Business On The West Side of Ambergris Caye – or ELSIE’S FIRST BOAT RIDE! How could Leonardo make it any better…seems PERFECT to me now! Hey! loved this post:) have a question for you! I learned about the leeward side of the island from you, and I definitely would love to explore some of these sandbars. Ive only got my friend with me, so it would just be two of us, so we wanted a small boat company to have a licensed driver just take us out there for a morning. Any recommendations or knowledge if this would be possible? Im struggling with finding small boats with no added frills and stuff for just a few people, especially ones that are not related to a tour of any sort, since what we really want to do is just free exploration. Thanks for all the help in advance! Hi…I wish I had a better answer for you on small companies. Did you try Creative Tours – the one I mentioned above? They may not have a great fit but perhaps you can get a recommendation from them? Most people that have small companies have a bigger boat so they can make a bit of money. I’m kinda stumped for a good answer! 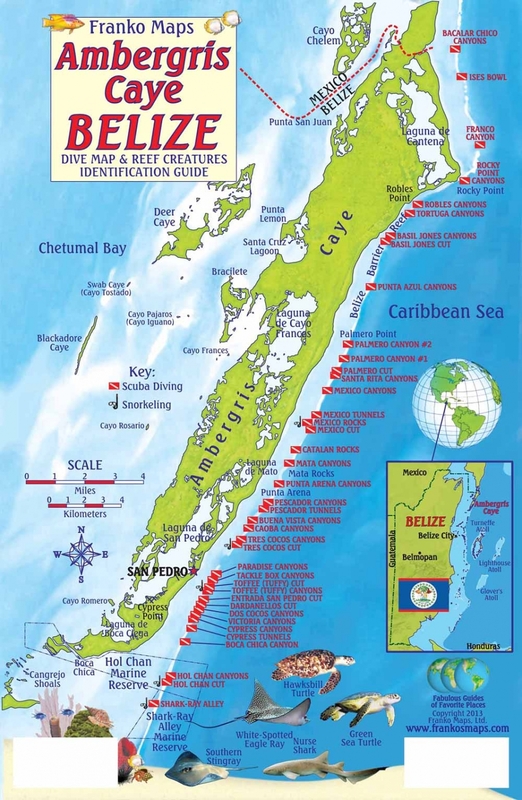 I am headed out on a tour on Sunday – google Belize BBQ boat. I’ll report back!